2017 sees the 200th anniversary of jane Austen’s death, and there are many events planned to celebrate our favourite author. Just for a start, she is going to appear on our new £10 banknote and £2 coin. Quite an accolade – nobody but the Queen has ever appeared simultaneously on a banknote AND a coin. As well as following a Jane Austen trail around London (yes, she did visit the capital), there are a number places to see that aren’t too far away. Above is a photo of the church where Jane Austen’s father, and then her brother, were Rectors. She would have known it intimately. 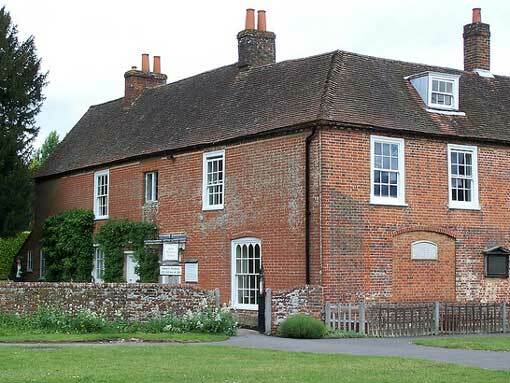 Just a short drive away is the Jane Austen’s House Museum – the only house where she lived and wrote that is open to the public. 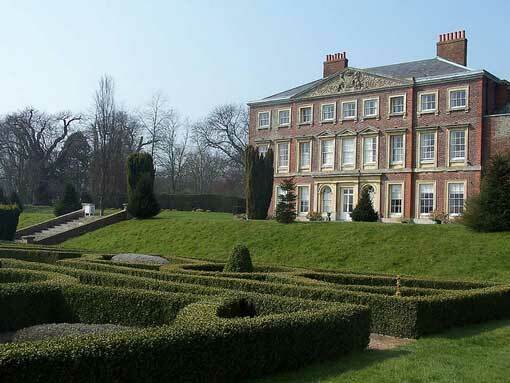 You could also visit The Vyne, a grand house where Jane & her sister attended balls. Or Winchester Cathedral, where she was buried. 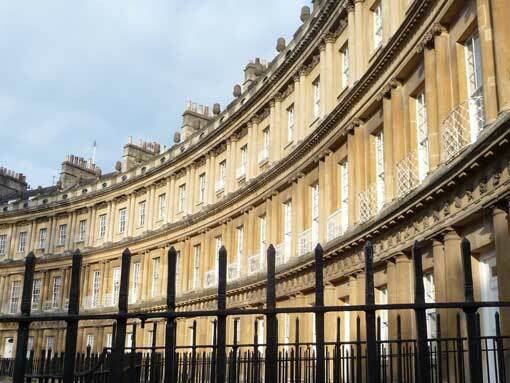 No trip to Bath is complete without seeing the places that appear in Jane Austen’s novels – for example, Great Pulteney Street where Catherine Morland lives in Northanger Abbey, or the Gravel Walk where Anne Elliot and Captain Wentworth are reconciled in Persuasion. See where Jane herself lived, and Sydney Gardens where she used to walk, or the home of Aunt Leigh-Perrot who was involved in the improbable shoplifting incident! Or if you are touring to Canterbury or gardens in Kent, why not also visit the gardens of Goodnestone Park, where Jane’s sister-in-law Elizabeth grew up. It might even be possible to catch a distant glimpse of brother Edward’s home at Godmersham Park – also depicted on that £10 banknote. Jane Austen’s novels have been filmed and televised many times. Many of the film locations can be visited. Near Stonehenge is Stourhead, the beautiful landscape garden that appears in the 2005 “Pride & Prejudice”. Or Groombridge Place in Kent, which stands in for Longbourn. The Cathedral Close in Salisbury appears in the 1995 “Sense & Sensibility”. For real fans, I can put together a longer trip, visiting places that are just too far for a day trip from London. All tours are by car, for up to 6 people, with your own private driver-guide. Tour prices range between £640-£695. Jane Austen lived most of her life in the county of Hampshire. 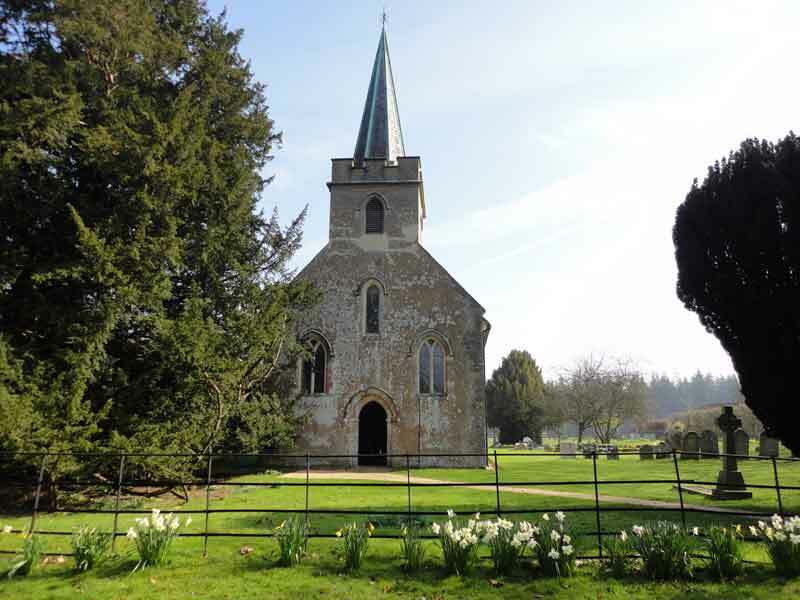 You can visit her father’s church at Steventon, where you can see a number of Austen family graves and memorials. Sadly the house in which she grew up was demolished and replaced by her brother when he succeeded his father as Rector. You can visit Winchester Cathedral where Jane is buried, and see the house nearby where she lived when she needed to be close to her doctor. The focus of the day would be a visit to her home at Chawton, and it might also be possible to see The Vyne, the grand house where she attended balls – both the latter are dependent on opening hours. Jane Austen lived in Bath for 5 years with her parents and sister. On a walking tour I will show you many of the places that Jane knew and wrote about. We will visit the fashionable Assembly Rooms, and maybe take a glass of spring water or lunch in the Pump Rooms, where Catherine Morland eagerly awaited the arrival of Mr Tilney. We’ll walk up to the Royal Crescent along the Gravel Walk, where Anne Elliot and Captain Wentworth “exchanged again those feelings and those promises which had once before seemed to secure everything”. We could also visit Lacock village. In the BBC’s 1995 production of Pride & Prejudice it is Meryton, where the Bennett girls go shopping and hope to attract the attention of Mr Wickham and his officer friends. Jane’s brother Edward was adopted by wealthy relatives so that he could become their heir. Elizabeth Bridges, his wife, grew up at Goodnestone Park, where you can visit the lovely gardens. Edward and Elizabeth’s home together, Godmersham Park, features on our new £10 banknote. The house and gardens open for a number days each year – best to check its website. There are other gardens in the area, for example Great Dixter, or Groombridge Park, which was the Bennett family’s home in the 1995 ‘Pride & Prejudice’. You could also visit the medieval city of Canterbury or the White Cliffs of Dover. Nearby Chilham was used as a location in the BBC production of Jane Austen’s ‘Emma’.